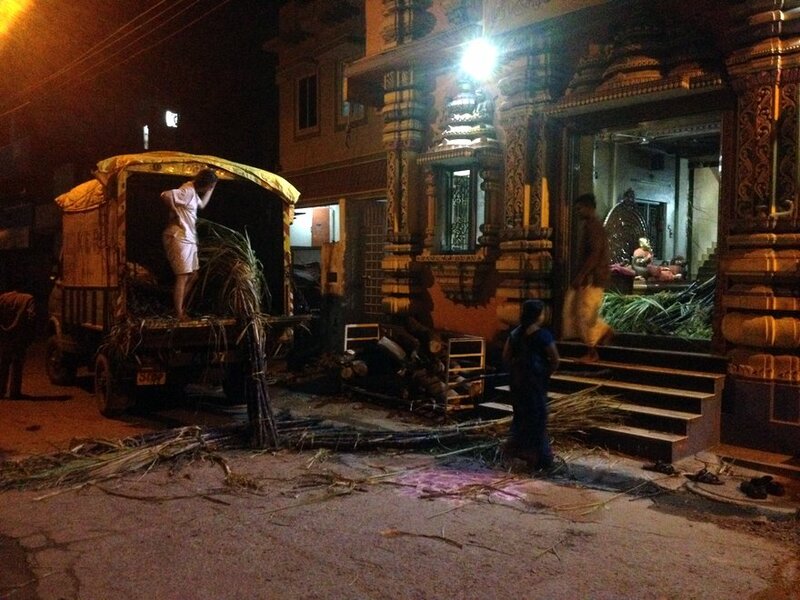 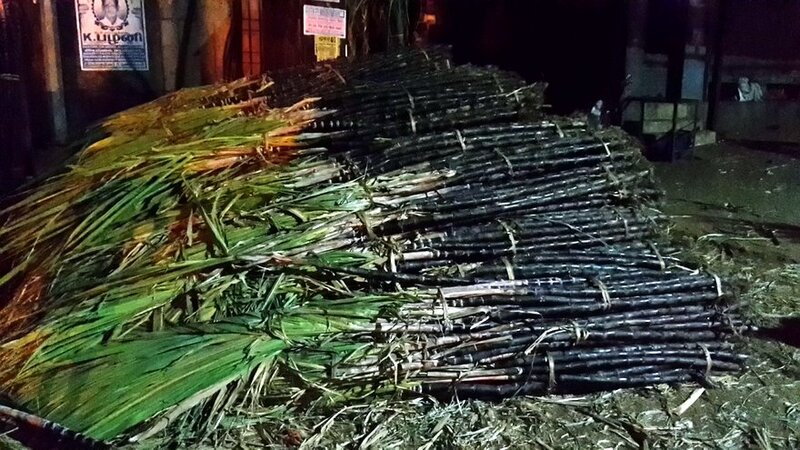 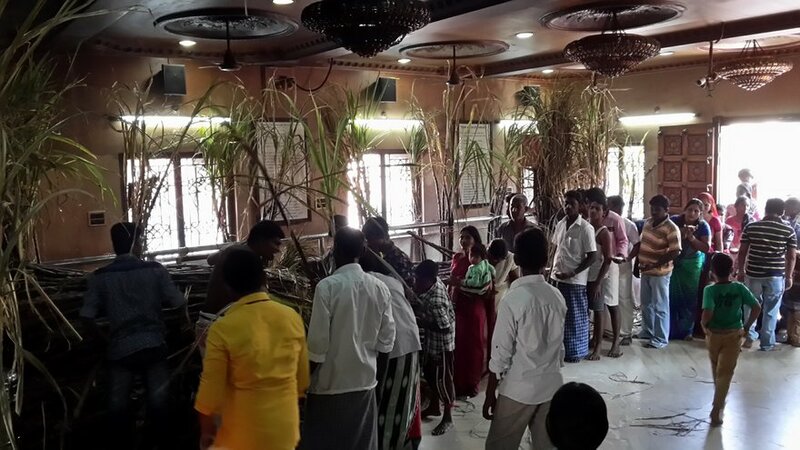 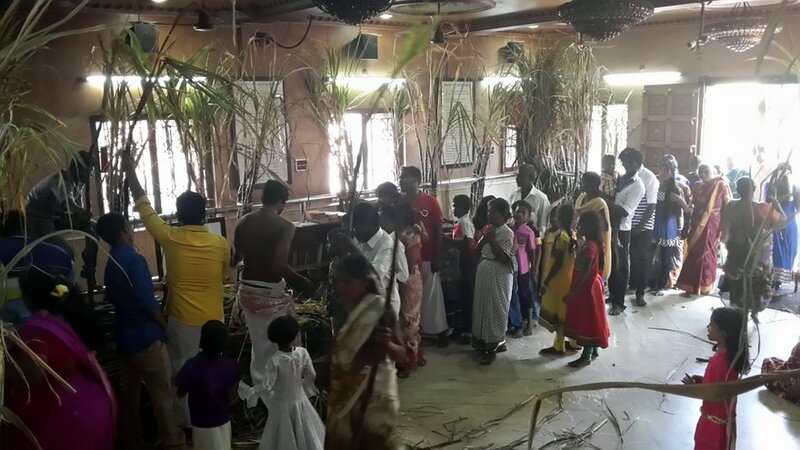 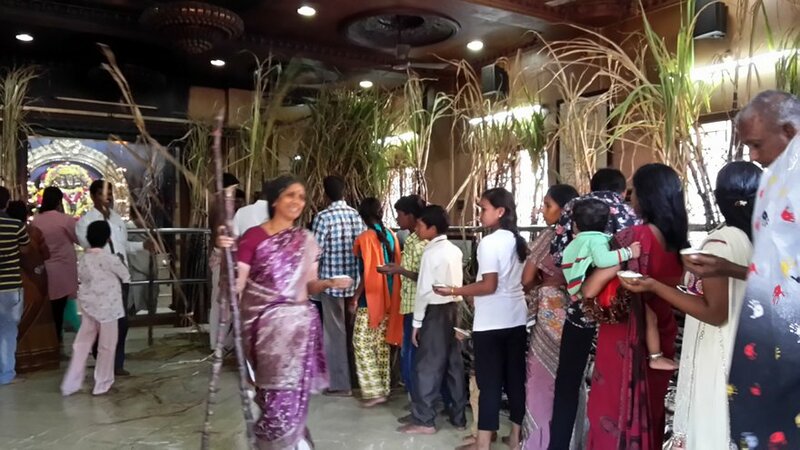 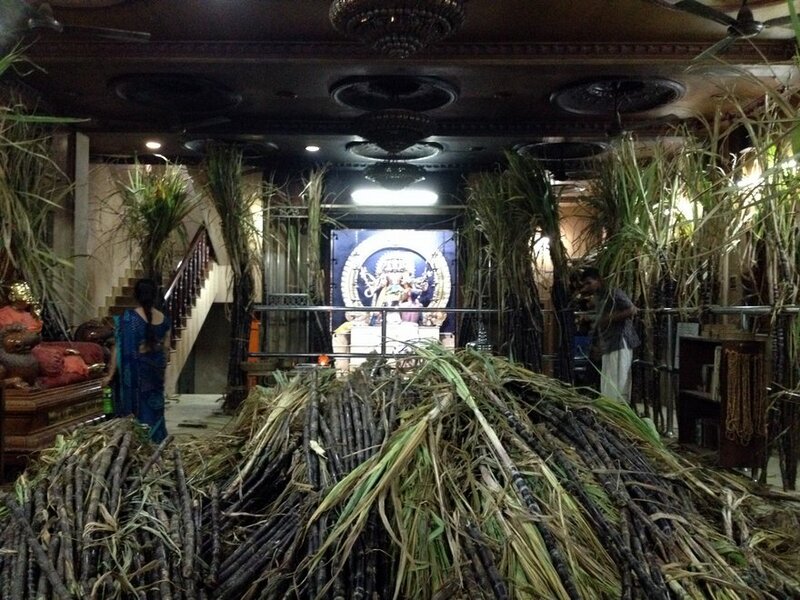 This year for Pongal celebrations (called as Makara Sankranti in north India) we distributed 2,000 sugarcane sticks to visitors at our ashram in Chennai. 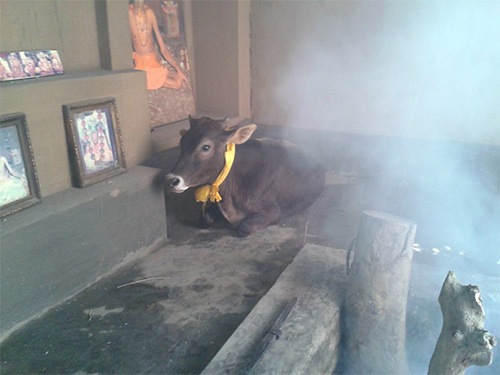 Makara Sankranti is one of the most auspicious days of the year in the Hindu calendar. 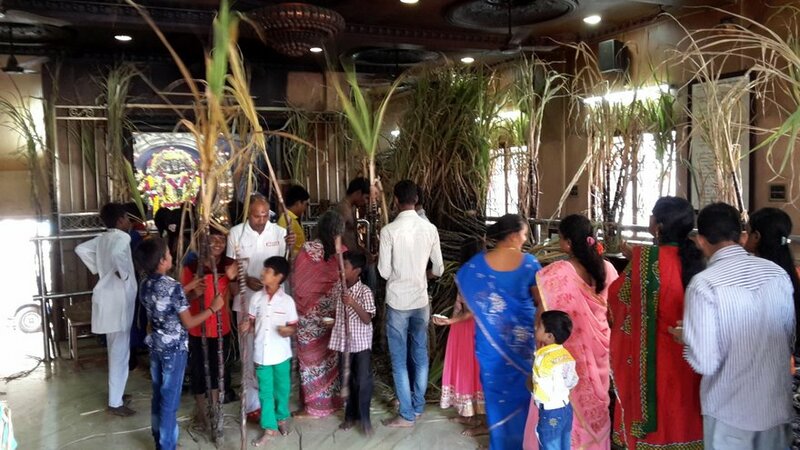 In South India it is a harvest festival, and traditionally the first rice of the season is boiled and offered to the Sun god in the form of Sakarai Pongal (sweetened rice). 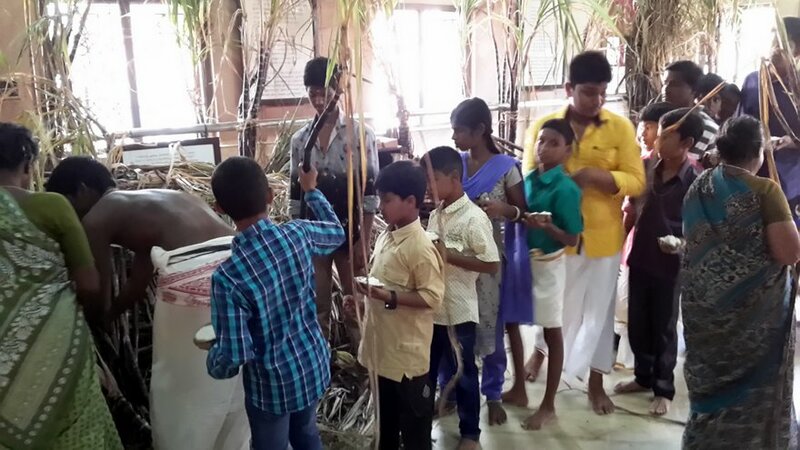 It also marks the beginning of Uttarayana, the six month northward movement of the Sun. 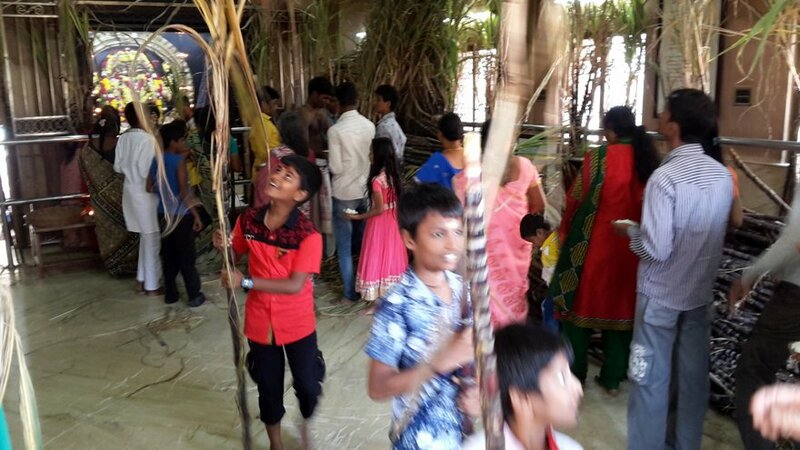 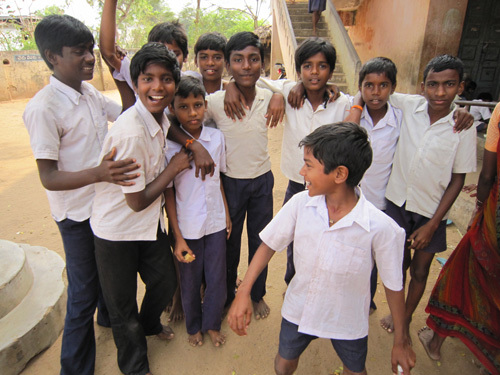 For the last few years we have been distributing sugarcane each year on this day, as sugar cane is one of the main features of the Pongal celebrations in Tamil Nadu, and children are especially happy to receive it. 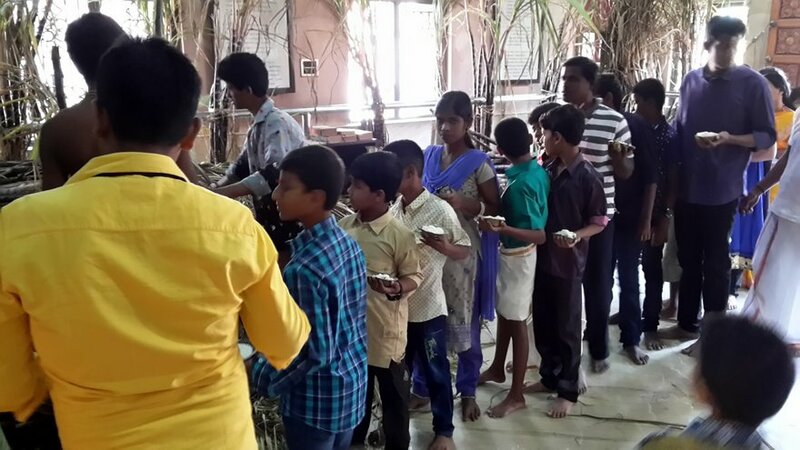 Since all houses are preparing Sakarai Pongal on this day, we chose to distribute curd rice for prasadam instead of Sakarai Pongal. 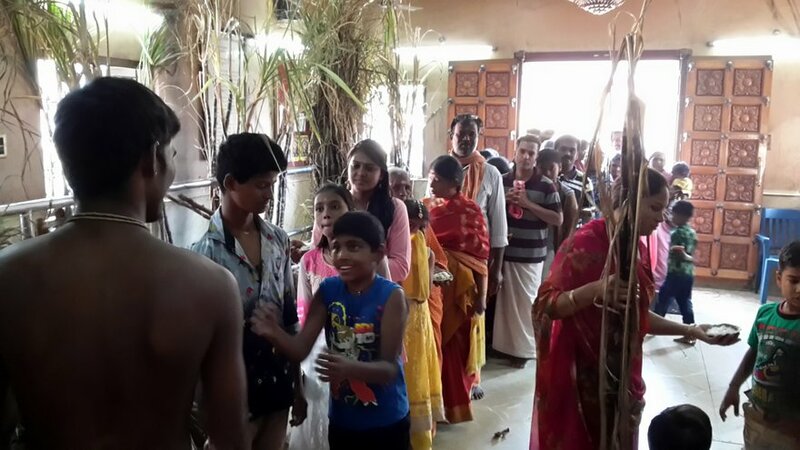 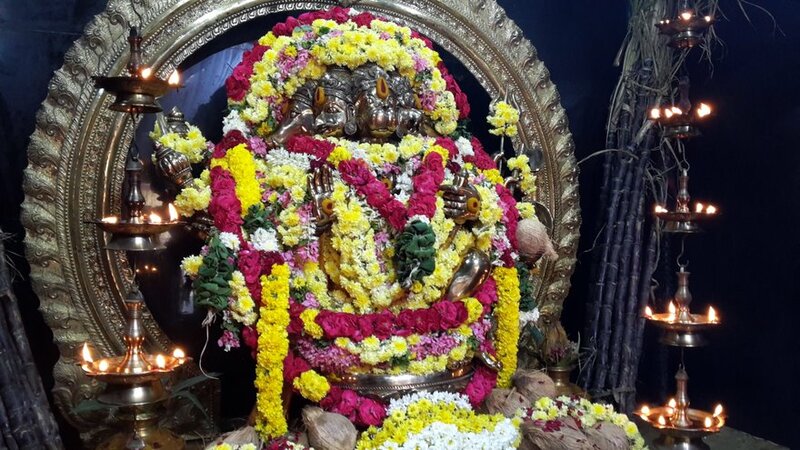 Throughout the day several thousand devotees visited the temple to get the blessings of Lord Hanuman. 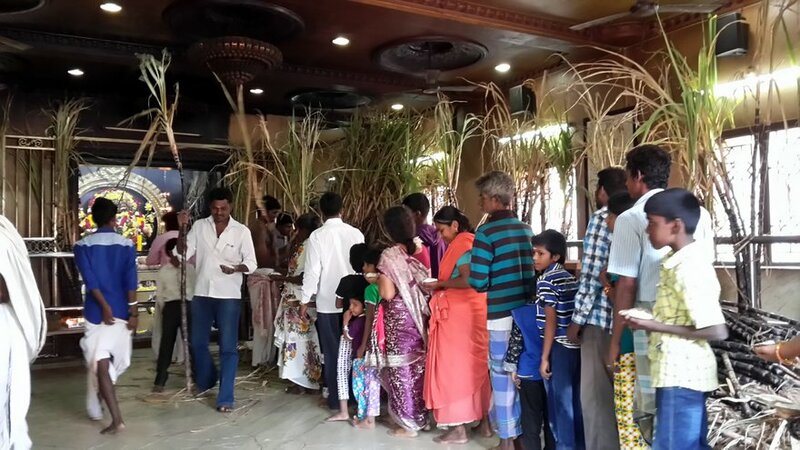 Below are some pictures of the sugarcane distribution. 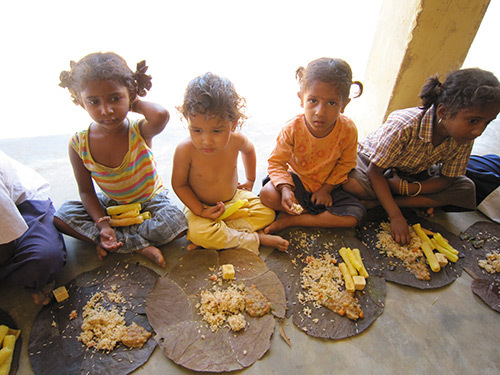 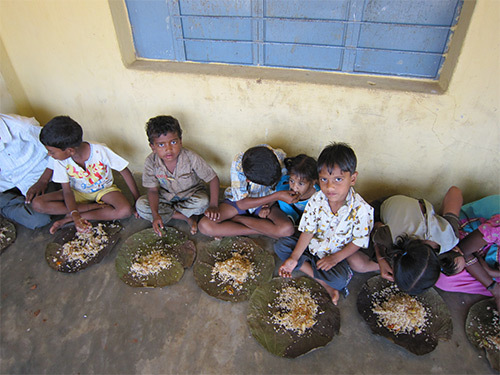 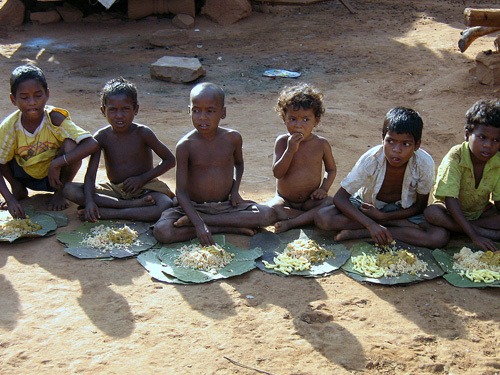 for distribtuion to all more so to children who would have relished those cane fruit juice ver well. 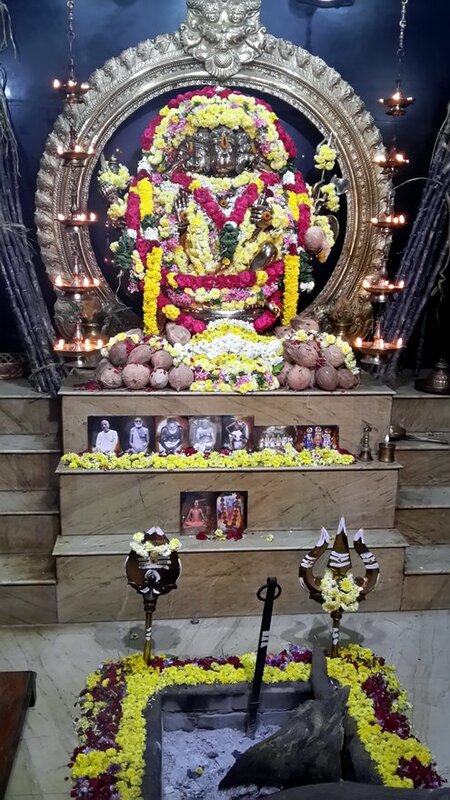 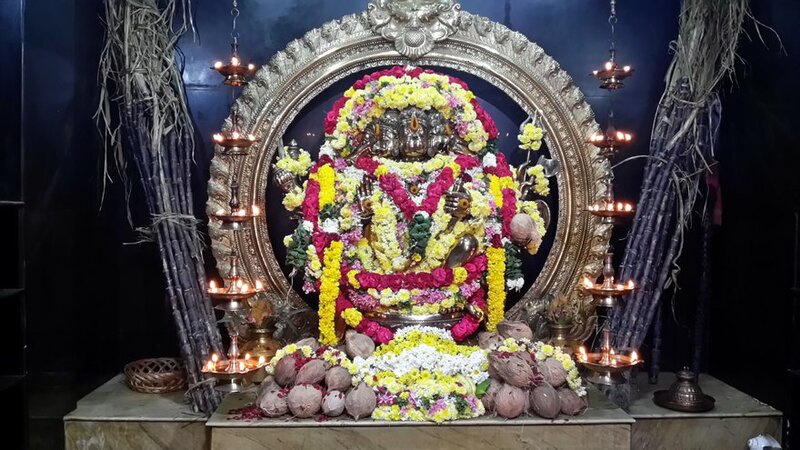 Why are the Gaudiya Vaisnava sampradaya pictures beneath the Hanuman murti, is this an ISKCON temple?